Making your driveway look as good as new……. If the structure of your existing drive is solid but the surface material has started to decay it may be possible to resurface your drive with a Resin Bound Driveway surface which last for years. 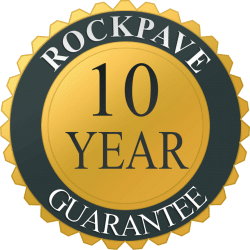 Our survey team will assess the condition of your drive to find out if it is suitable for a resurfacing project by RockPave specialists. Please note that we only install Resin Bound Surfacing NOT resin bonded surfacing and there is quite a big difference between the two products. What is the difference between Resin Bound Drives and Resin Bonded Drives ? Although some of the basic ingredients appear similar, resin bonded surfacing has far fewer advantages than resin bound surfacing. A resin bonded drive is essentially a layer of aggregate applied to a bonding agent which sits on the surface of the drive. 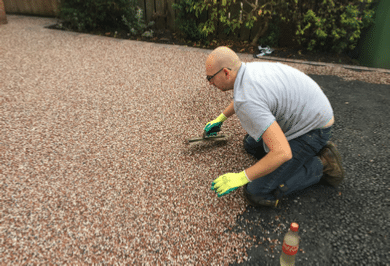 Because the stone is not enclosed within the resin material it is nowhere near as hard wearing as resin bound surfacing and will eventually work loose. 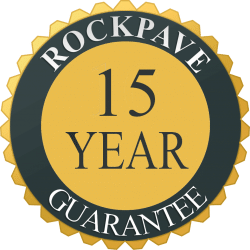 The RockPave driveway system does not use resin bonded surfacing as it has a much shorter life span. What is the correct way to resurface a drive ? 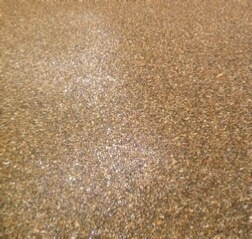 The only way to resurface a drive correctly is to use Resin Bound Surfacing. Resin bound is a different proposition. This thick structural layer contains stronger aggregates bound together and fully immersed in a natural resin. 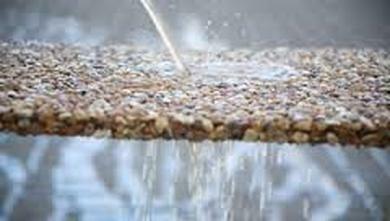 This ensures that all the stone is bound within the driveway surface and it cannot work loose. Because the stone is totally encased in the resin substance, water and dirt cannot effect it and it therefore gives years of use. Resin bound driveway surface is also permeable because water passes through the pores in the surface without ever coming into contact with the stone, as it’s encased in resin. This makes it SuDS compliant and it should not need planning permission. It’s the ideal driveway surface. ASK ABOUT OUR NON FADE ULTRA VIOLET PROTECTING RESIN SURFACING.